Once upon a Time, in a Kingdom that was just a little twisted (oh yeah, and kinda far away), Fairy Godmothers Rule! Elf Kings drool, and a Knight was having a bad time with a Dragon. Fairy GodMOTHER. As in female - it's right there in the name. 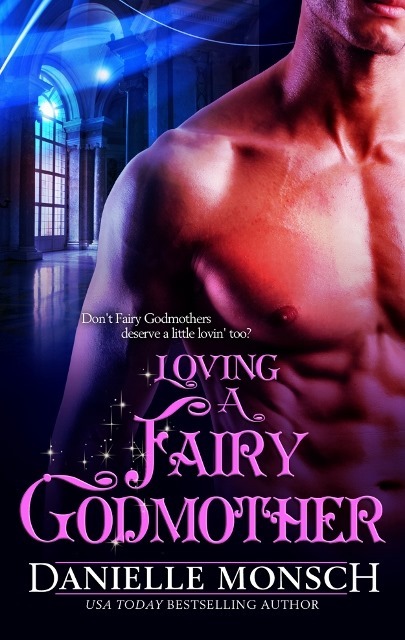 With those divine dimples, killer blue eyes, and hard muscled body, no one's going to be mistaking Tiernan for a female anytime soon, but due to a wish gone wrong, Tiernan is now the only Fairy Godfather in existence. Strangely, most Fairy Godmothers don't have a problem with this change in the status quo... all except the one Fairy Godmother who he'd go and win a kingdom for. Reina has never been like the others. Organized, efficient, logical - and liking the status quo, thank you very much. After all, the FGs do not need a stubborn, infuriating, feckless male messing up tradition, and she wants him gone...like yesterday. Circumstances arise that just might let her get her wish, but in a way even she never wished for. Tiernan's employment status is called into question, and he is given the task of getting a woman named Cinderella a Happily Ever After or lose his position as a Fairy Godfather. So Cinderella will get to the ball and get her Prince if he has to dress her down to her shoes himself, and he's bringing Reina along to help. After all, don't Fairy Godmothers deserve Happily Ever Afters too? Loving A Fairy Godmother is a very quick adorable story about love, patience and following your heart. The dialogue in Loving A Fairy Godmother is very cute and had me laughing a few times. The couple of intimate scenes were very hot and tied the story together well. I would recommend Loving A Fairy Godmother to anyone who enjoys a good love story with a definite HEA [Happily Ever After] in more ways than one. Reina and Tiernan were sizzling together. All the fights and disagreements they had only served to heighten the sexual tension, and when the moment came, they were explosive together. The fun twist at the end is one I didn't see coming, and it left a smile on my face and a sense of wonder. LOVING A FAIRY GODMOTHER is a fine piece of writing by Ms. Danielle Monsch and I'm looking forward to read more of her work.